Alas, whilst the sight of a golden eagle in Jersey’s skies would be amazing we are in fact referring to Paradise Park’s chough chicks hatched this year. 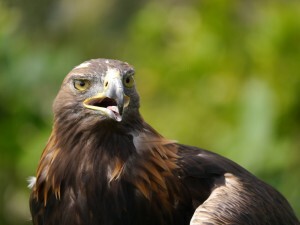 Saffron, the golden eagle pictured here, is a long standing member of the ‘Eagles of Paradise’ free flying bird show. I don’t think staff would give her up that easily. 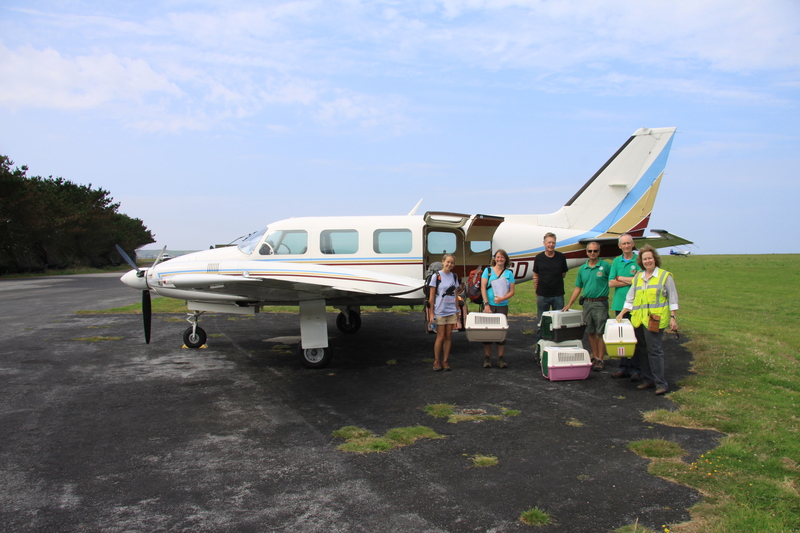 However, they did agree to send over six other chicks to help with the restoration efforts in Jersey. 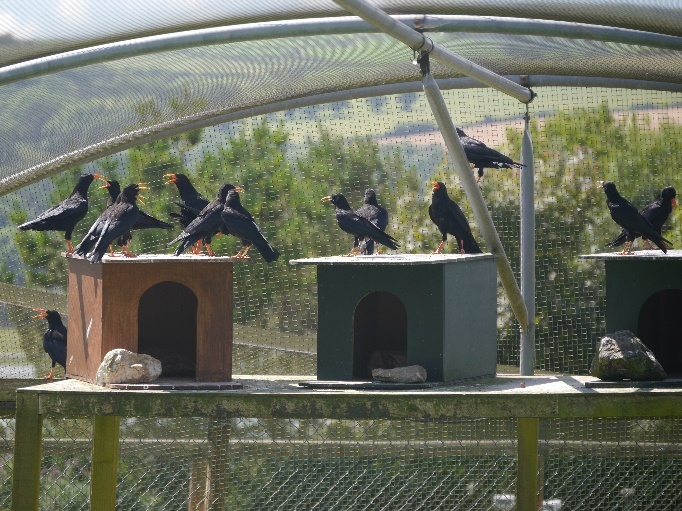 Many of you who have followed our work closely know that Paradise Park, in Hayle, Cornwall, have provided Durrell with our three breeding pairs of choughs and several juveniles over the last five years. All of the choughs currently flying free at Sorel were captive bred at Paradise Park. Whilst Durrell have been successful in rearing chicks this year there are only four. To increase our chances of success we need more candidates fo release. 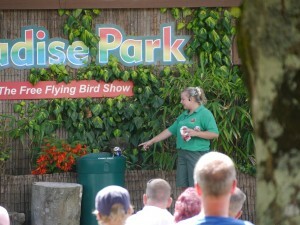 Paradise Park’s parent-reared chicks are perfect for the role. 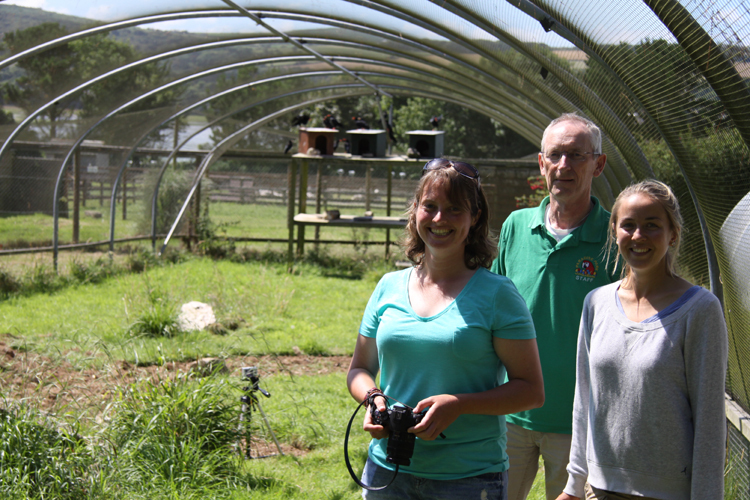 The lessons they learnt from their parents will hopefully be shared with Durrell’s chicks whilst the two groups are living in the release aviary up at Sorel. At the end of July, Harriet Clark and myself travelled over to Paradise Park. 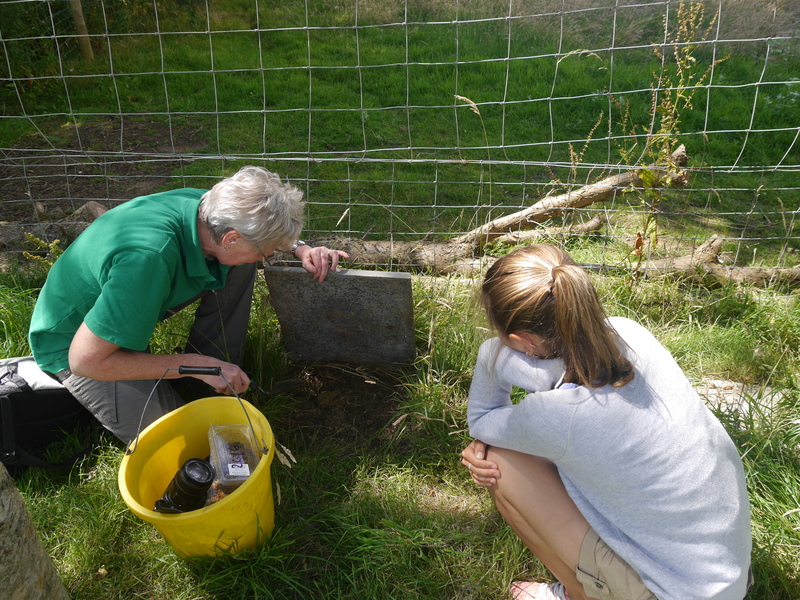 We spent a day behind the scenes learning more about their captive-breeding programme including meeting the new chicks. We also managed to find time to watch the two free-flying bird shows. The skills the staff demonstrated in the shows have been put to use up at Sorel. I visited the park in 2011 to learn about animal training for welfare and soft-release purposes. David Woolcock, curator of the Park, has been providing invaluable support to our project ever since. Parrots and birds of prey are not the only birds participating in their shows. Oggie and Piran are two choughs who love to fly back and forth over the audience whilst staff talk to the public about the perils faced by wild choughs and how conservation efforts are managing to support the population. Jersey gets a mention too! When Oggie and Piran aren’t flying around, they hang out in an aviary where they get to interact with the public. They love being preened (tickled to you and I) and actively walk up to the mesh to meet you. They then seem to go into a trance-like state of pure ecstasy. If they don’t like it they simply walk away. 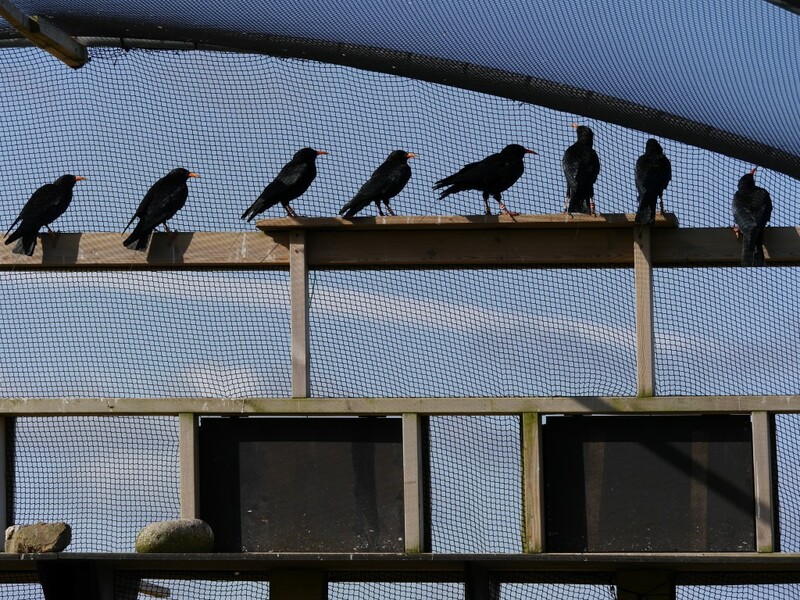 The breeding facilities are off show to the public as the choughs can be quite sensitive to disturbance during incubation. 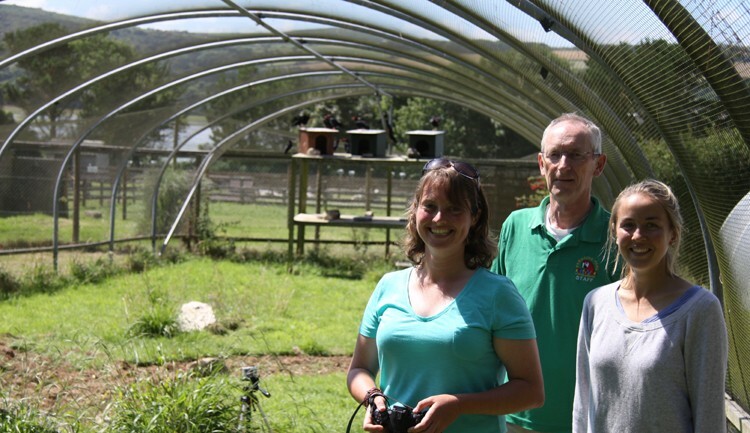 These aviaries have nest cameras to monitor the parents behaviour and keep a ‘big brother’ eye on the development of the chicks. 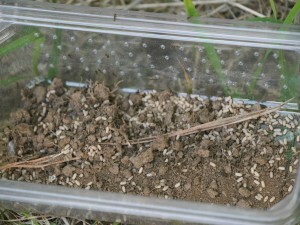 Each year they broadcast live to their website so the public can also keep a watchful eye. Of course at this time of year the chicks have already fledged and the families moved out of seclusion into flocking aviaries. Alison Hales, director of Paradise Park, kindly showed us around armed with a bucket and trowel. Why? Well chough chicks love eating ant larvae and eggs. In order to provide enough to feed all the chicks throughout the breeding season staff placed paving slabs around the park in grassy areas. When the temperatures start to rise in spring and summer the slabs heat up becoming attractive to ants. All staff have to do is flip over the slab and dig out what they need with a trowel before dispensing in the aviaries. 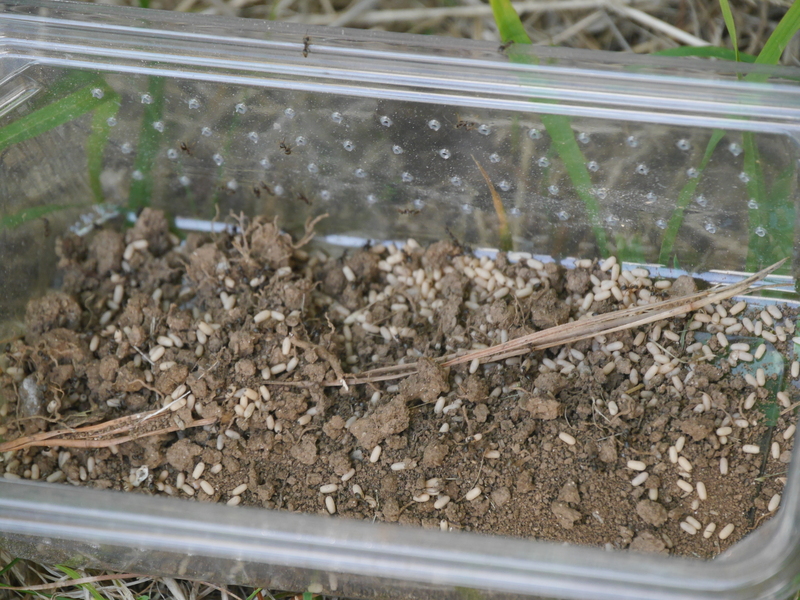 Ant eggs are nutritious and delicious for choughs. Photo by Liz Corry. 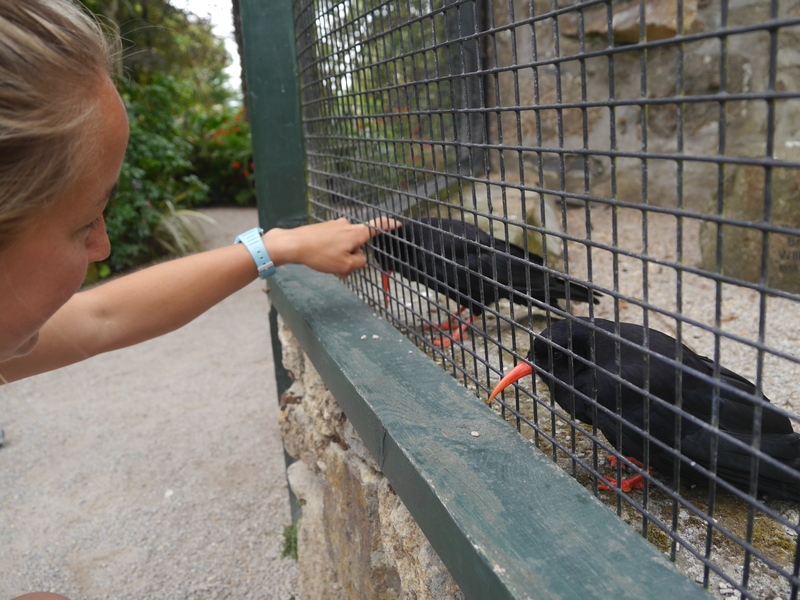 It was quite a sight to see so many choughs in one aviary. And a little bit overwhelming to think we would see the same at Sorel in two days time! 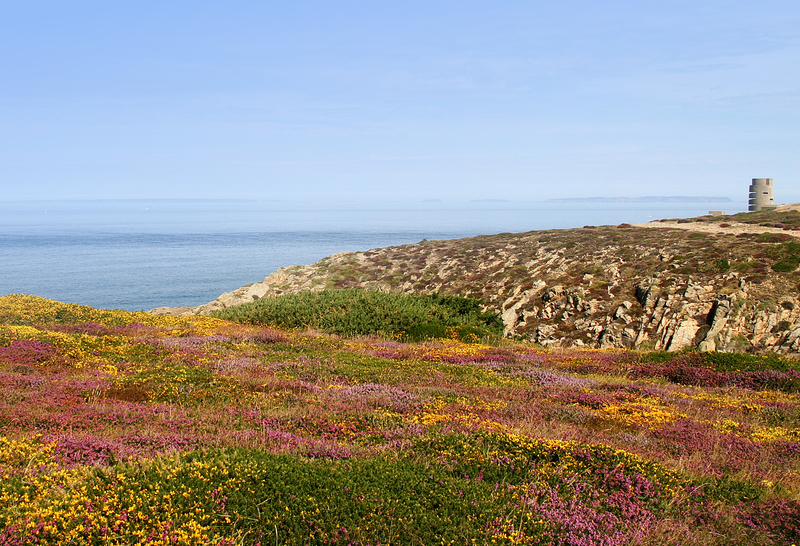 We had planned a visit to track down wild choughs and meet up with the RSPB before heading back to Jersey. You will be able to read about that experience in separate posting. For now, let us explain how we moved six birds 160 miles across land and sea without exerting a single flight feather. Paradise Park staff caught up and crated the choughs in the morning. 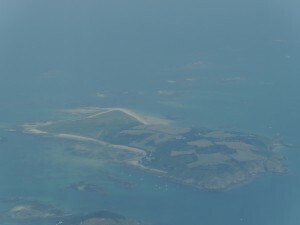 David Woolcock then drove them to Perranporth Airport north of Hayle. I say aiport….field is probably more appropriate. There we all waited patiently for the arrival of ‘Durrell Air’. 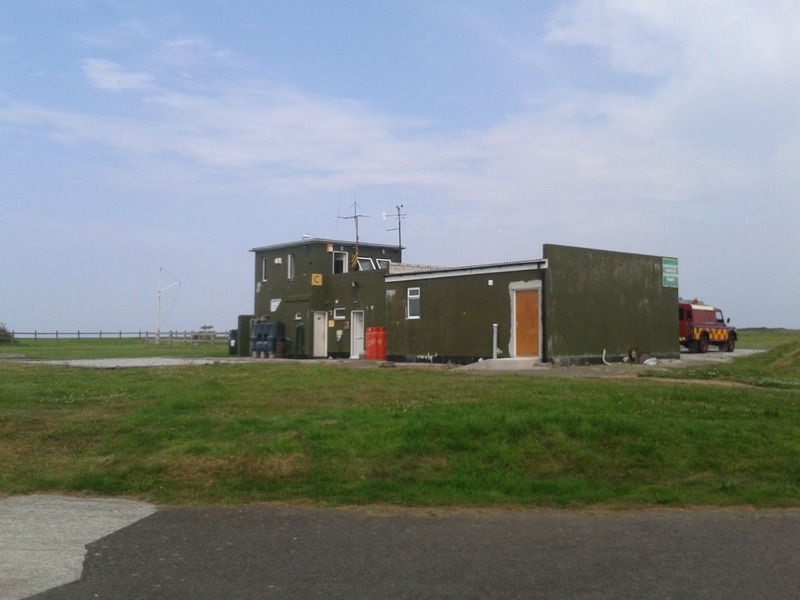 Captain Colin Stevenson and trusty co-pilot Lee Durrell waved excitedly from the window of the Navajo as it taxied off the runway and came to a halt at gate…erm 1 (and only)? Lee and Colin very kindly donated their time. Anyone who has dealt with animal transportation will apprecite the cost involved and how minimising stress for the animal is paramount. 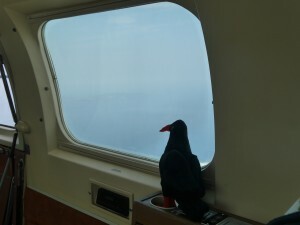 Our alternative of half a days drive to reach a tempremental ferry service facing another 3-9 hour journey would not be in the best interest of the choughs. After a quick cuppa and stretch of the legs we loaded the crates into the cargo hold. 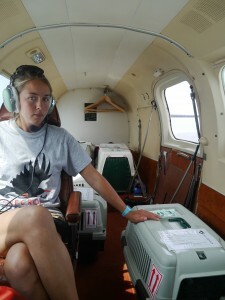 Harriet and I found our seats in business class (also doubled up as cargo hold). 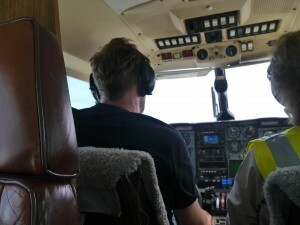 Then we had to rearrange a few things so the pilots could squeeze through to the cockpits. The birds themselves were relatively settled. 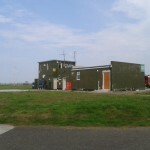 Their crates had been secured in place and for the more nervous passenger they were covered over to create a darker, more peacefull environment. Some just wanted to take in all the sites. 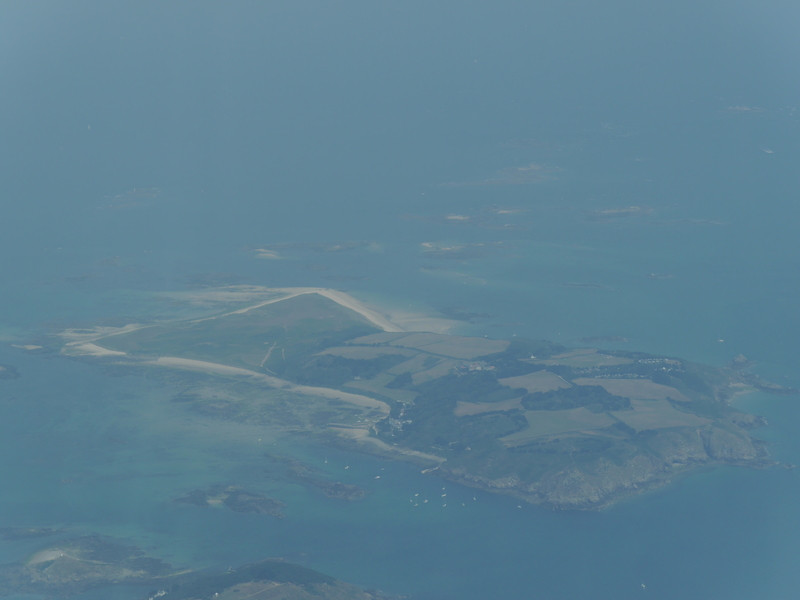 Thankfully, fog patches aside, it was a very calm sunny day so the views were amazing and the flight smooth. On landing we were met by Adam and Max who helped unload the crates into two vehicles. We drove them straight up to Sorel and completed the rest of the journey on foot. On arrival we were met by the vet and vet student. 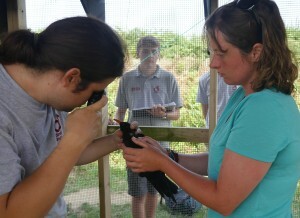 The birds needed to have a general health examination before being released into the aviary. Blood samples were taken as standard import requirements and cloacal swabs taken for baterial checks. The chicks were uncrated one at a time because of this and then released into section 1A once they had the all clear from the vet. The Durrell hand-reared chicks were very excited by the new arrivals and flew up to meet them. But on seeing the vet and a large syringe they headed back to the other end of the aviary. The two groups of chicks need to be kept separate for the first week whilst we establish if there are any diseases risks, but can then be kept as one group in the aviary to socialise. As soon as the Paradise Park birds entered the aviary, quarantine restrictions had to be put in place. For a little over four weeks keepers donned latex gloves and blue shoe-protectors everytime they entered the aviary. All waste food and materials were treated as clinical waste (which will explain the sight of Durrell staff hauling a large yellow refuge sac over the cliff tops into their car boot, and driving off). I am pleased to say quarantine restrictions have now been lifted. The ten chicks (now four months old) are living happily together and are being trained by keepers in preparation for their release. Thanks to all the staff at Paradise Park and to Lee and Colin for their time and assistance. Also thanks to Amy Hall, Durrell’s Registrar, for directing me through the piles of paperwork required for imports/exports. We look forward to an exciting new chapter and the promise of sixteen choughs flying free this year. Great update Liz… And the Paradise Park team are providing excellent support to your project. We always enjoy our “tickles” with Oggie and Piran whenever we visit. A great story! Well done to all involved.